15. The Use of Molecular Oxygen in Pharmaceutical Manufacturing – Is Flow the Way to Go? B. Pieber, C. O. Kappe, Chim. Oggi/Chem. Today 2016, 34(3), 38-42. D. Cantillo, C. O. Kappe, Chim. Oggi/Chem. Today 2015, 33(S), 6-10. T. Razzaq, C.O. 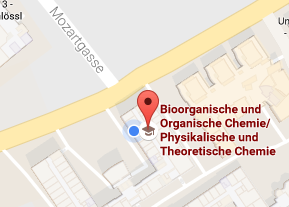 Kappe, Chem. Asian J. 2010, 5, 1274-1289. DOI: 10.1002/asia.201000010 (Web of Science “Highly Cited Paper”). C.O. Kappe, E. Van der Eycken, Chem. Soc. Rev. 2010, 39, 1280-1290. DOI: 10.1039/b901973c (Web of Science “Highly Cited Paper”).